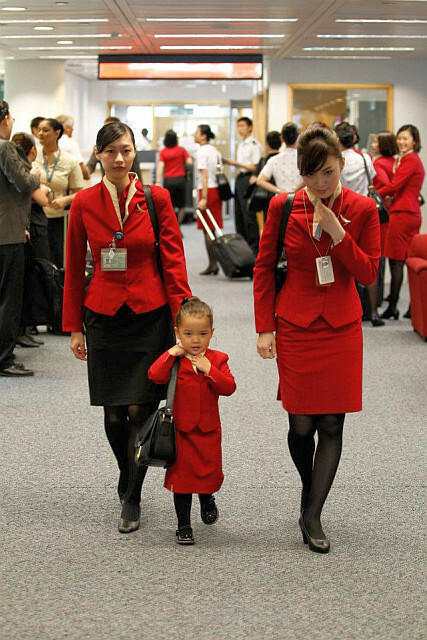 It honestly is heart warming to see young ones so enthusiastically dressed and “performing” the roles of a cabin crew! 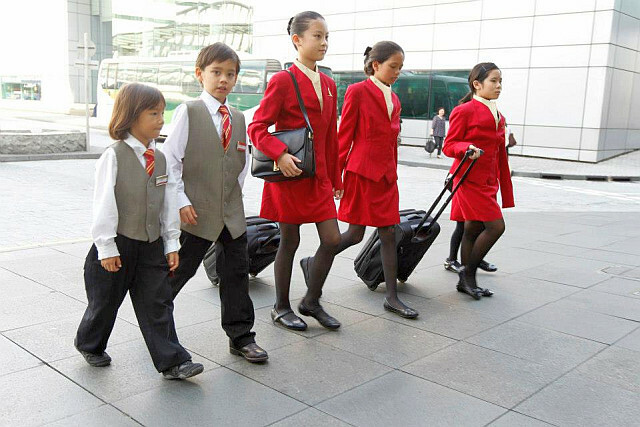 Cathay pacific chose 6 kids of their staff, aged between 4 and 10, and got them dressed in perfect miniature cabin crew uniforms to learn and experience a day in the life of their parent’s at work. 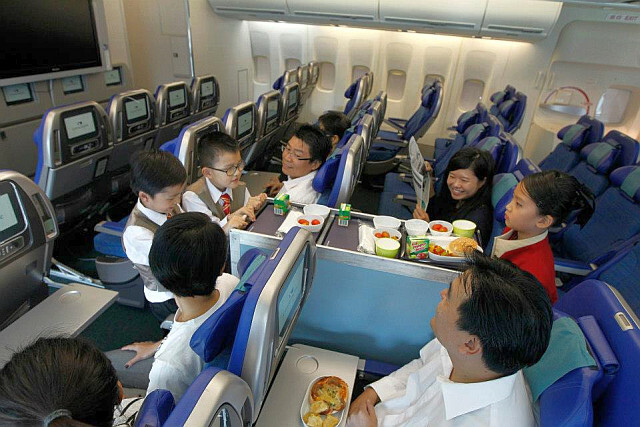 In what appears to be the cabin mock up of an A330 aircraft, the kids demonstrated their cute service skills. The video clearly shows them struggling with the galley cart, but that’s where the fun lies! 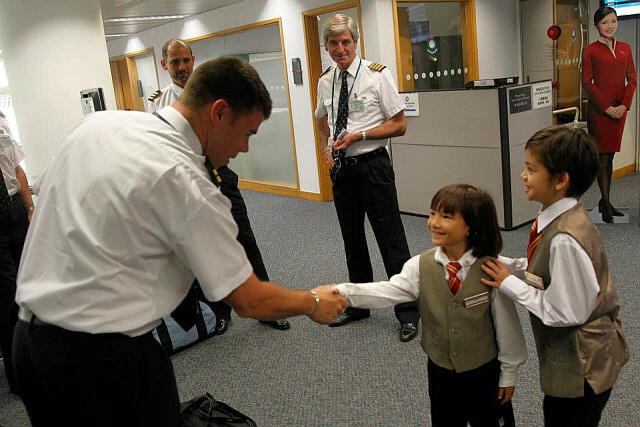 Meeting the flight deck crew, and sitting in the briefing office: All in a day’s work! 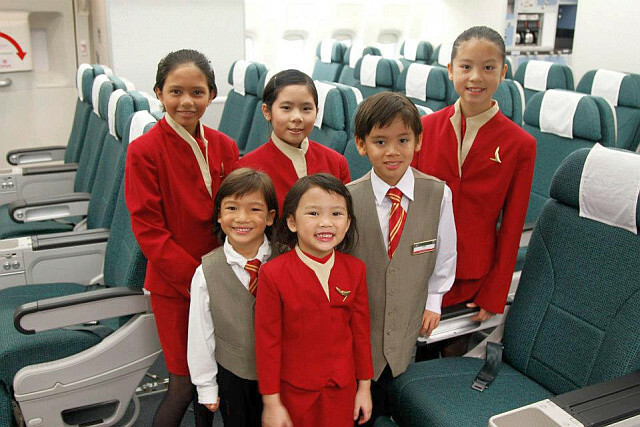 Enjoy these photos and video (at the bottom) from Cathay Pacific!